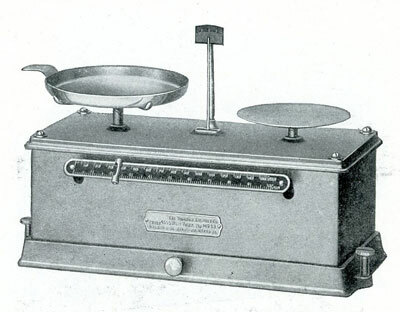 A sensitive scale used in the textile trade for weighing samples of fabric. Slide beam 0 to 0,1 lb. (avoir.) in 1/1000 lb. graduations. No small weights, 1/1000 lb. to 0,1 lb. required.